There is a very famous section in the Midrash in regards to the portion of Bamidbar, and I read it almost every year as I come to this Shabbat. The Midrash says that when the Creator revealed the Light at Sinai, 240,000 angels came down surrounding it. And it says that each one of the angels had a flag. Interestingly, when the Israelites saw the great Light of the Creator, and the great love the Creator was showing them during this revelation, their singular request was: we want flags too. Really? This seems kind of silly; you are at the greatest revelation in all of history, you see angels holding flags… and your greatest desire at that point is to have a flag also? The Creator on this Shabbat comes to Moses, and says, do you remember at Sinai the Israelites desired flags? I want to fulfill their desire and give them flags - let’s count them, set them up, and arrange them. But the greater question, of course, is what does it mean that the angels have flags? What does it mean that the Israelites were jealous of the angels’ flags and then given their own? The kabbalists explain, and this is a beautiful and important understanding of this section in the Midrash, that because angels do not have free will, whatever they're doing in any given moment is exactly what the Light of the Creator wants them to do. 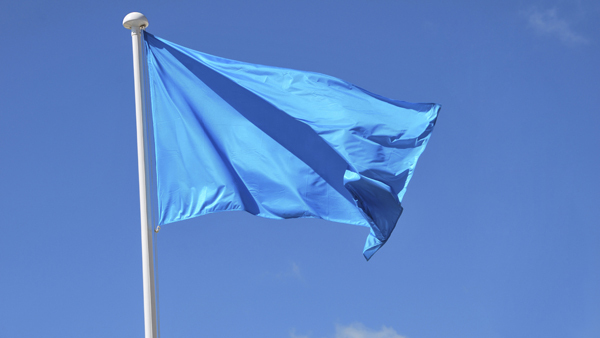 What is a flag, as we use it today? A flag for a country is a representation. It's an indication of who that person is, or where he is from. For the angels, the flags are an indication and representation of who they are, that they are doing exactly what the Creator wants them to do. When the Israelites had the great revelation at Sinai, they saw the angels. They saw that absolutely everything the angels were doing at any given moment is exactly what the Creator wants them to be doing, and the Israelites came to the point where they said, that is what we want. We do not want anything else in life except to be sure that what I'm doing right now is exactly what the Creator wants me to be doing. All of us, hopefully, do our spiritual work, do our connections. But can we say that we know for sure that what we are doing now is what the Creator wants us to be doing? The reality is that for most of us, a large percentage of what we are doing is not exactly what the Creator wants, even in the good stuff. I’m not talking about when we do negative things, of course. Then we are pretty clear that’s not what the Creator wants us to do. But even when we are doing what we think is the spiritual work, what we think we should be doing, are we sure that it’s what the Light of the Creator wants us to be doing? If we are honest with ourselves, I think most of us will realize we don’t even know. There is a story about Rabbi Yitzhak Isaac of Kamarna, who was a great kabbalist that wrote many commentaries on the Zohar and revealed many great secrets. When he was younger he had a lot of students - hundreds, if not thousands. Then, in his later years, many of his students left him, and he very often had trouble even gathering a minyan of 10 people. So, different people have different jobs. And the kabbalists explain that the reason why this happened to Rabbi Yitzhak is because the Creator did not put him in this world to teach thousands of people, but rather to write books and reveal Light through his books. That was his job here. The Creator knew that the people who were coming to study with him were actually stopping him from doing what he needed to be doing. Therefore, the Creator, as a gift, made it so that less people would come and study with him, so that he could focus on writing and revealing the great Light through his books. He knew what his job was. Unfortunately, as we know, and we read in the Gates of Reincarnation, because Rav Chaim Vital kept bringing more and more students, and bothering the Ari with them, not allowing him to reveal all the great secrets to his student, the Ari had to leave this world early. On this Shabbat, the Creator says, “I will give you a flag;” meaning, I will give you the secret of clarity on what exactly you need to be doing. So how do we gain that clarity? The secret is in the verse from the Midrash, yemaleh Hashem kol mishalotecha, “the Creator will fulfill all of your desire.” Our singular desire must be to do what we came to this world to do. Most of us say to ourselves, yes - this is the most important thing, but there are also other things, too… and it would be nice if what I came to this world to do was within this framework, or this easy, or not that difficult….and so on. But that type of request will not be answered. That’s why it says in the Midrash, He saw at Sinai the “singular desire,” not the greatest desire, which is not enough. The Creator saw that the Israelites’ singular desire was to accomplish what they came to this world to accomplish. And therefore, the Creator says, if your singular desire is just to do what you were put in this world to do, what your soul needs to accomplish in this world, then immediately I will show you the direction. The greatest question, then, that we have to ask ourselves on this Shabbat is, is there really nothing greater that we desire, no matter what it means, than to do what we came to this world to do, to reveal the Light that the Creator put me in this world to reveal, whatever it is? And let me tell you something - for sure it is different than what you are doing now. If your singular desire is just to do what the Creator wants you to do – no matter how different it is from what you are doing now, no matter how difficult or changed that it is from what you are doing now, and you’re willing to accept it - then the Creator will show you; the Creator will give you your flag. Each one of us has specific work that we came here to do, and the only way we will know what that may be is through the secret of the flags. The angels have them all the time because they are always doing exactly what the Creator wants them to do. Do you really want to know? Do you really want to be directed, no matter what it is, to do what your soul came to this world to do? If the answer is yes, then immediately you will begin receiving direction. It’s a tremendous and beautiful gift of this Shabbat.